Lack of teachers and infrastructure has taken a toll on the Government Homoeopathic College in Sambalpur. Recently, the Central Council of Homeopathy (CCH) has directed the College Administration to stop admission to Bachelor of Homoeopathic Medicine and Surgery (BHMS) course from next academic session for lack of teachers and infrastructure. The direction comes after a delegation of the CCH visited the College last year and found many things wanting. 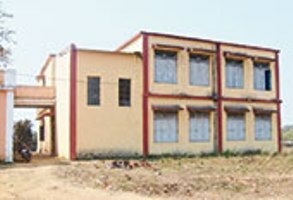 Established in 1987, large-scale vacancies are gradually taking a heavy toll on the College and locals fear neglect by the State Government would lead to its closure. The Government Homeopathic College has a well equipped 25-bed hospital. However, the equipment is gathering dust in the absence of skilled manpower to handle them. While patients are being denied treatment, students have to manage without practical classes. As per CCH guidelines, there should be 13 professors, as many readers and 15 lecturers in the college. But the State Government has sanctioned six professors, 15 readers and 15 lecturers, of which, there are just six lecturers. Although a professor should be posted as Principal, a lecturer is in-charge of the post. Thank you for sharing nice information this blog. i am very impressed your blog.i like this blog.